Imagine IF YOUR Birth experience could be CALM-FEARLESS-CONFIDENT-IN CONTROL? Come along and find out more at our FREE Info session! Our FREE March 2019 Gentle Birth Information Session will share ways in reducing tension, stress and worry during labour. 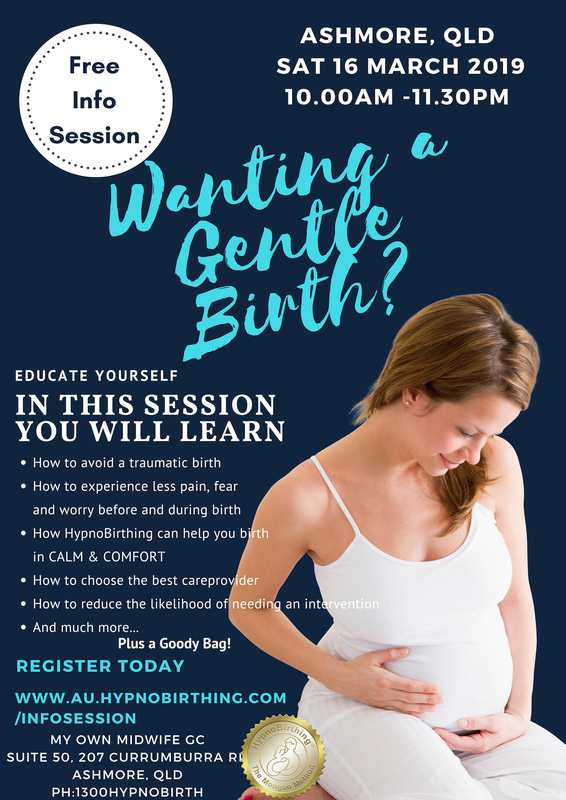 Learn about your options and how to achieve a gentle birth experience at this FREE talk. Click on the link and pick Ashmore! – What is gentle birth and why is it important? Limited seats – so REGISTER on the link below and pick Ashmore to ensure your spot.